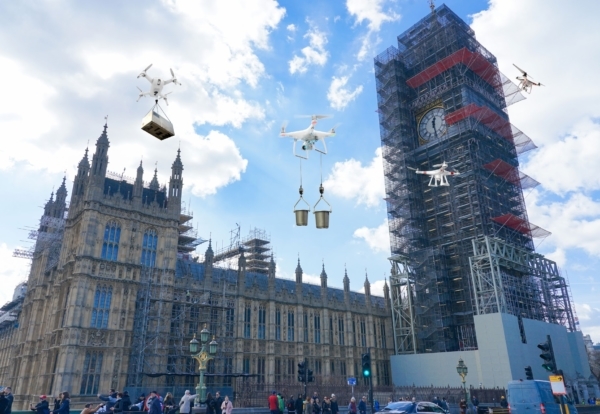 A report into the future of construction is predicting drone deliveries on site, 3D printed walls and self-assembled floating buildings. 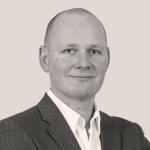 Future gazer Dr. Ian Pearson was commissioned by contractor Colmore Tang Construction and Virgin StartUp to write the report. By 2025 Pearson said drones will be able to carry large materials up construction sites while plastic bottles recovered from the world’s oceans will be recycled to create biometric buildings. Over the next decade, artificial intelligence (AI) will be commonplace, linking to sensors and cameras around construction sites, ensuring that buildings are being developed according to the architect’s plans. Humans will work alongside AIs and will not only see these robots as clever tools, but also colleagues and even friends as they start to develop unique relationships. Looking more than 50 years into the future, by 2075 Pearson suggests that self-assembling buildings under AI control will allow a new form of structure – kinetic architecture – where a structure is literally thrown into the sky and assembled while gravity forms the materials into beautiful designs. 3D printing will steal most of the construction headlines in the immediate future, according to the future-gazer, with cheap homes built quickly using the technique solving the housing crisis. Colmore Tang Construction has partnered with Virgin StartUp to deliver a £10m innovation fund that is open to entrepreneurial companies in a construction industry-first technology accelerator programme called ‘ConstrucTech’. Andy Robinson, Group CEO of Colmore Tang, said: “This forward-thinking report has shown that technology is set to have a hugely positive impact on the construction industry. “However, we need to discover those exciting and innovative start-ups, whose products and services could deliver the technologies and innovations that will be the key to future success.